This creative design idea offers an unusual way of decorating with flowers. The invisible Crown Vase from Lambert Rainville allows to create spectacular flower arrangements that looks natural, simple and amazing. Decor4all presents this interesting design idea and pictures of the invisible vase. The unusual vase or flower holder consists of two parts – a ring holding the flower stems upright and a saucer which can be filled with water. Tall floral arrangements created with fresh flowers or dried flowers look stunning, offering gorgeous table decorations and centerpieces. The original and interesting vase design from London bases designer Lambert Rainville is surprising and innovative. Dried or fresh flowers are not just a part of the floral arrangement, but are a main element. This way of decorating with flowers create a clear centerpiece with strong long stems that is natural, elegantly simple and very attractive. Branches or fresh flowers stand straight and beautifully decorate tables. The unusual vase or flower holder is an exellent accessory that will help create surprising, interesting and elegant floral arrangements and table centerpieces. The design idea is simple and clever. 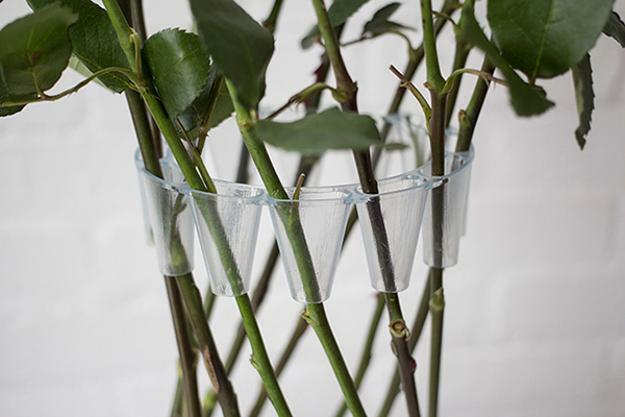 Each stem is passed through a transparent funnel attached to a plastic ring. 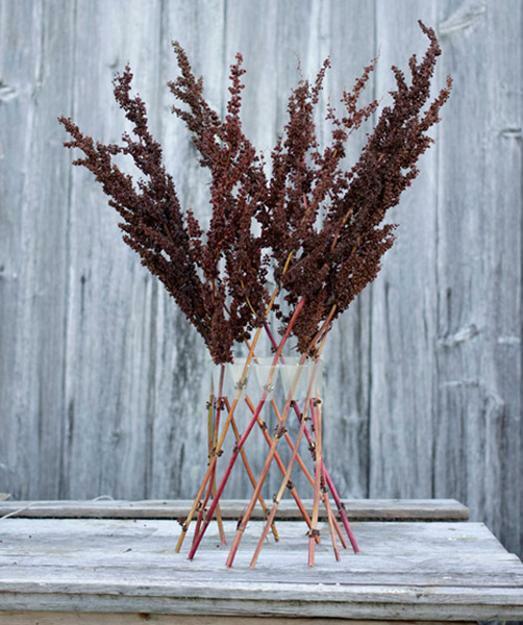 Dried flower arrangements and table centerpieces created with branches do not require a saucer. 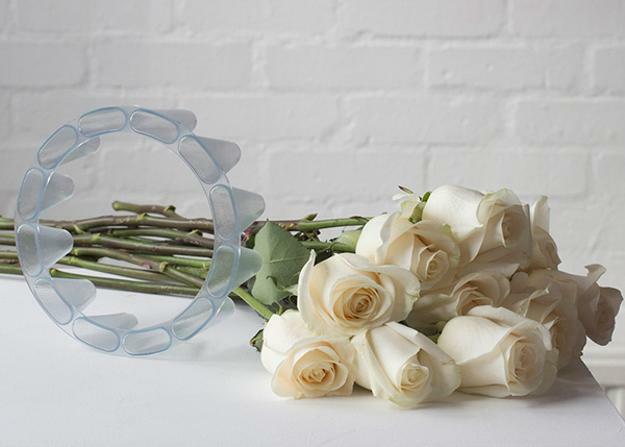 Fresh flowers will stay beautiful longer with a saucer filled with water. This creative decorative vase makes a wonderful gift and decorative accessory. The flower holder is almost invisible and versatile, suitable for any special event and for any room decorating with flowers or branches. 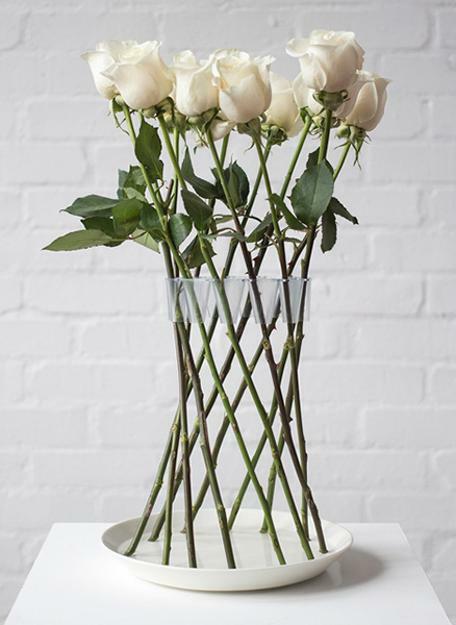 The decorative vase in minimalist style brings the innovative design and creativity into interior decorating with flowers or branches, and allows to create truly unique and beautiful floral arrangements and table centerpieces.